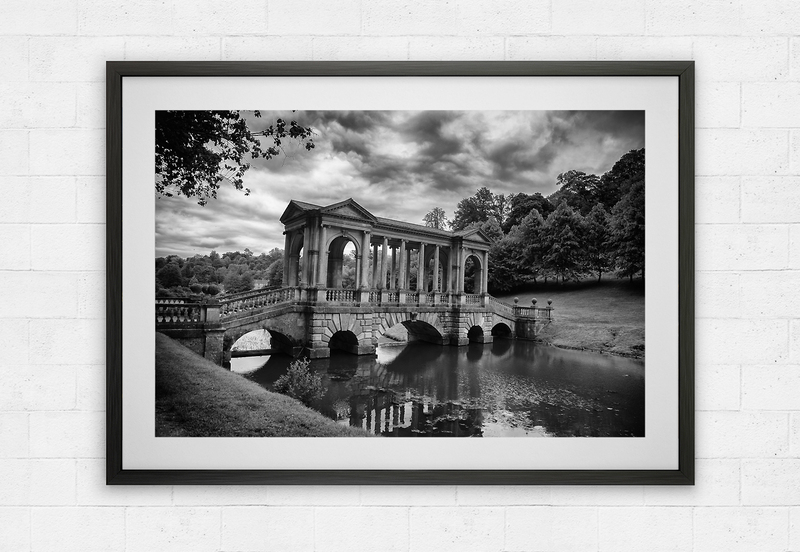 This beautiful black and white image of the famous Prior Park Palladian Bridge. The Palladian Bridge was built in 1755, the last of three of its kind built in England. 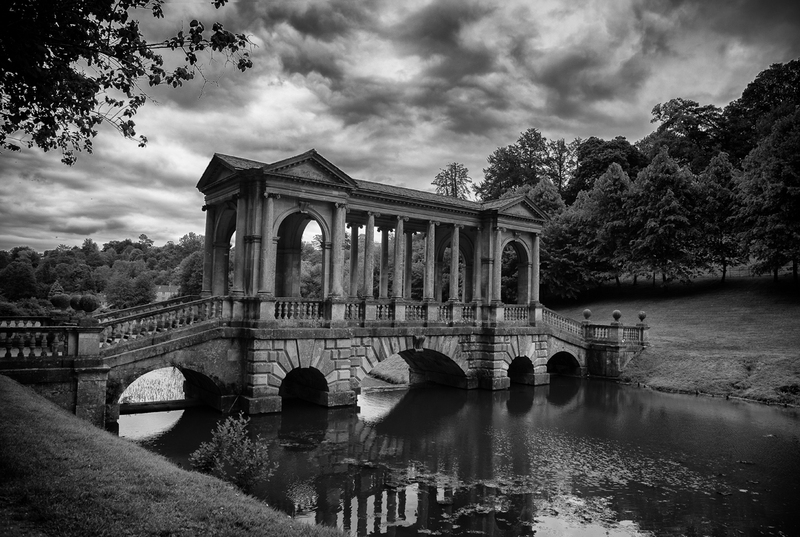 Probably Prior Park’s best known feature, the bridge is an elegant and eye-catching example of Palladian architecture.It was created in the 18th century by local entrepreneur Ralph Allen, with advice from ‘Capability’ Brown and the poet Alexander Pope. (Click here to view a larger image).